Attached to a bow on a gift or wrapped in a pretty box, giving ornaments is a Christmas tradition in my family. I decided that it was about time I started partaking in this tradition, however instead of buying ornaments I would make my own. This year I decided to make them using my Great Grandma's applesauce ornament recipe. Here you'll see how I used this recipe to make snowmen for friends. 1. In a medium bowl mix spices, stir in applesauce and glue. 2. Work mixture 2-3 minutes with your hands to form a ball. 3. Divide into four equal parts. 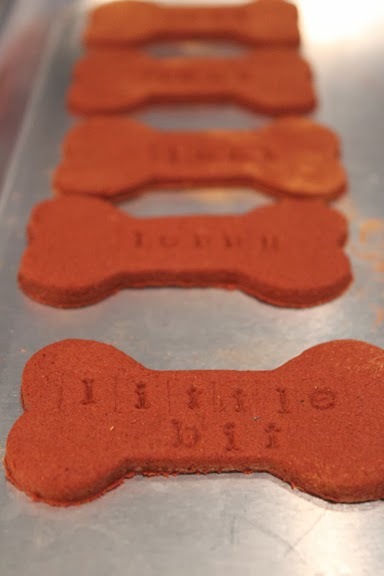 Roll to 1/4 inch thick on a cinnamon covered surface; cut into desired shapes with a cookie cutter. 4. Use a straw to place a hole at the top. 5. Place on a cookie sheet and allow to dry 4-5 days - your home will smell fabulous. 6. 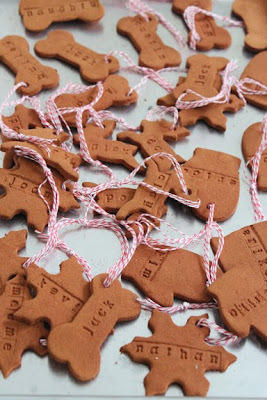 Be sure to flip the ornaments over after two days so they'll dry on both sides. 8. You can also paint the ornaments like I did here. This is awesome, such a great idea.